KJIPUKTUK (Halifax) – Canada’s private dental care system leaves about 6 million Canadians without access to dentists each year because people can’t afford it. As a result, many people experience chronic dental pain, often related to caries, a treatable infection that results in cavities. Anyone who has experienced dental pain knows all too well how it can really make your life miserable. Most dentists agree that more public spending is needed2. Currently 93.8% of dental spending is private, which means paying private health insurance companies or the dentist directly, whereas 6.2% comes from targeted public programs3. A targeted approach focuses resources for care to vulnerable populations (children, working poor, indigenous peoples). 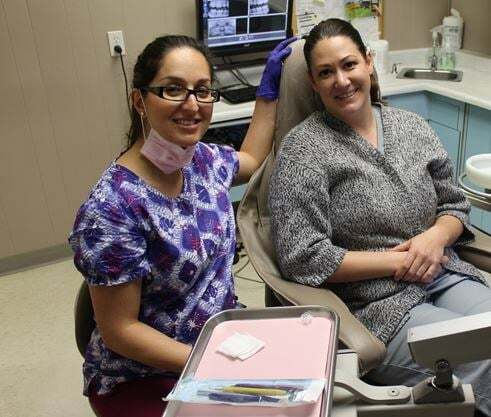 Under a universal dental plan, in contrast, certain procedures are considered medically necessary (i.e., check-ups, x-rays, cleanings, fluoride, fillings, extractions, trauma and oral pathology treatment) and the government will pay a set fee for each time that procedure is performed. A universal dental plan would require more government spending, but it would eliminate the out-of-pocket spending and monthly payments to the private health insurance companies for basic dental care. Now, the question is whether public spending should be used to implement a universal dental plan or expand targeted programs3. Targeted programs are more susceptible to cuts in funding since there are less likely to be repercussions in the form of public outrage as the cuts would only affect a relatively small, marginalized group. Groups relying on targeted programs become less of a priority to dentists, as underfunded programs pay a fraction of what is indicated on the fee guide2. In a universal system, in contrast, dentists are paid the same amount for specific procedures regardless of the patient’s income. This means care is provided based on need rather than ability to pay. This encourages dentists to set up clinics in communities where there is a need for basic dental care as opposed to being deterred by the socioeconomic status of the individuals within the community. That way a universal program will ensure that poor communities have equal access to a dentist as affluent communities. Canada’s private dental system places a burden on our public healthcare system, because individuals often go to the doctor for dental pain. For example, according to a 2017 study in Ontario, doctor’s offices were visited every 3 minutes and emergency departments every 9 minutes by patients seeking treatment for dental pain. Using minimum estimates per visit, the study found the cost to taxpayers is 38 million dollars per year in Ontario alone5. Many may have concerns relating to the cost a universal dental plan to taxpayers, but those taxpayers are paying for our current systems inefficiencies. Instead of focusing on how much a universal dental plan would cost taxpayers, we should focus on how we could use the money we currently spend for health services more efficiently. This is because we already spend a tremendous amount in private payments for medicine and dental care, and if those payments were eliminated and converted to public payments in the form of taxes we could provide more healthcare for less money. The Parliamentary Budget Officer, a provider of independent, non-partisan economic analysis, found that a universal pharmacare plan would save $4.2 billion for Canadians because of the power of collective bargaining and maximizing generic drug use6. It should not be surprising that pharmaceutical and private health insurance lobbying of the Canadian government has increased drastically since the overwhelming evidence for a national pharmacare plan is putting $8000/minute of profit at risk for those industries7. This is money that could be used to strengthen underfunded public health services. I suggest this money be used to strengthen publicly financed dental care along with converting existing private payments for basic dental care to public payments in order to create a universal dental plan. To put this in perspective, in 2015 Canadians spent $13.6 billion on dental care3. Assuming we spent the same amount per person for the 6 million people who are too poor to afford basic dental care, the $4.2 billion in savings from a national pharmacare plan could pay for dental care for another 9.26 million people. Well above the 6 million goal. In reality, a universal dental plan would actually spend less per person than these estimates as it would cover medically necessary care (check-ups, cleanings, fillings, extractions etc. ), whereas these estimates are for total dental spending, which includes supplemental and cosmetic procedures8. The idea of a universal dental plan is not radical. Draft bills for universal healthcare in the sixties included dental care, but it was decided that dental care would be publicly financed at a later stage. Now is the time to follow through with that promise. Click here for a fully annotated version of this article. Brandon Doucet received an undergraduate degree at UNB Saint John, where he researched antibiotic drug discovery from plants that First Nations used medicinally. He is currently a 4th year dental student at Dalhousie. He is interested in how institutions function and why they often do not meet fundamental principles of social justice. Then there’s the cost of treating heart disease caused by gum infections and more recent studies link gum disease to Alzheimer’s. I’ve had to eliminate certain foods from my diet to avoid cracking my teeth or losing fillings. I already have one broken tooth I can’t afford to get fixed nor am I able to because of my severe physical and medical issues that would make it impossible for me to be in a dental chair and endure any work being done in my mouth.